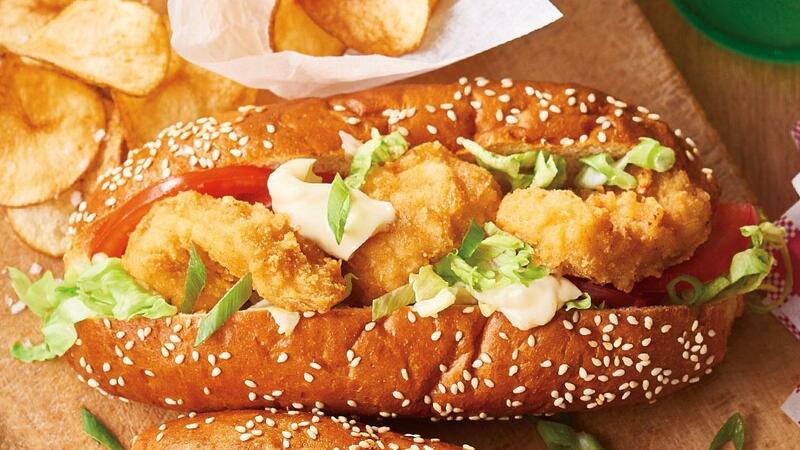 Iconic sandwiches filled with crumbed calamari. Fry the squid until golden. Fill the buns with the rest of the ingredients and serve with hand cut thin sliced potato chips.